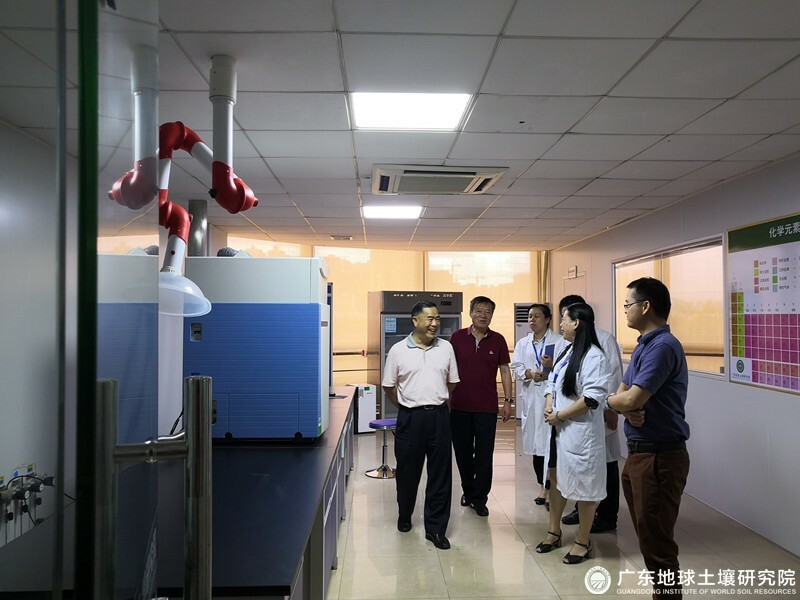 On August 10, the officials of Guangzhou Liwan Bureau of Market and Quality Supervision took an inspection tour to Guangdong Institute of World Soil Resources (hereinafter referred to as the Institute) for 2018’s annual inspection and quality accreditation. The inspection team carried out an examination of the authenticity of the Institute’s qualification registration, the validity of the qualification certification, the independence and fairness of testing, as well as the legitimacy of issuing testing data and results. All the members of the team reckon unanimously that the managing system of the Institute runs in good order, that the Institute has equipped itself with qualified techniques, and that all the testing results meet related requirements. The team announced on the spot that the Institute passed the quality inspection. Copyright @ 2014-2016 Guangdong Institute of World Soil Resources. All Rights Reserved.